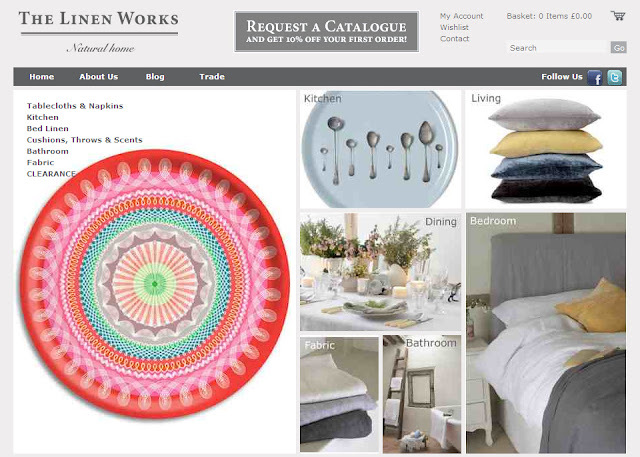 The Linen Works is a mail order company that sells top quality homewares online and via a paper catalogue. A lot of the products are, as you would expect, made from linen but there are also non textile homewares with an emphasis on natural materials. When selecting the items owner Marina Guirey always looks for "an aesthetic based on simplicity and functionality." They have bought the Alabasta Blue Fish 49cm tray since they were launched and now the 38cm red Folk Stripe tray has joined it. 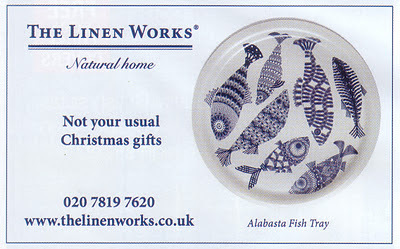 If you request a catalogue you can get 10% off your first order.